I will give all measurements in centimetres but the point of this tutorial is that you will be measuring your own bed for an exact fit, so feel free to use inches if you prefer. You can adapt this tutorial to any size of bed (mine is king size - queen size in South Africa). 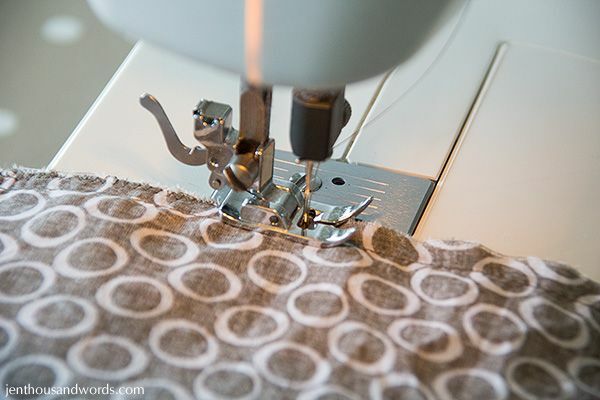 Why make your own bed skirt instead of buying one? 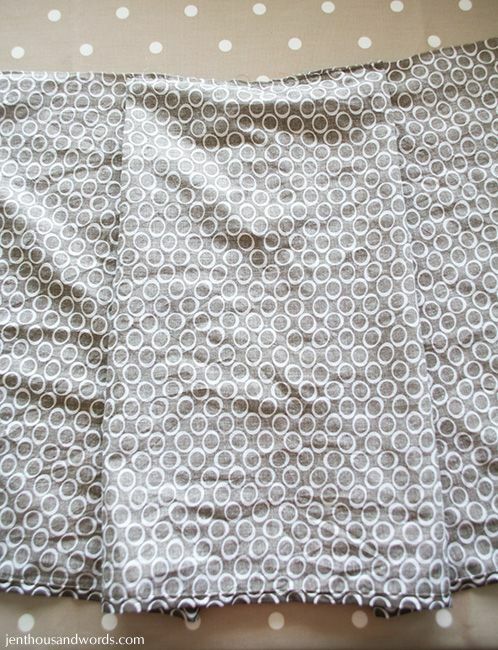 Well, you might want to use a patterned fabric or a colour fabric that isn't available as a bed skirt. Or you might have an unusual sized bed. I personally wanted a patterned bed skirt and knew pretty much what I wanted so the only option was to make one. I used 2.5 meters of fabric (the bed skirt is 40cm high) for the actual skirt and then extra (cheap yucky) fabric for the top. You can use any old fabric for the top as it won't be seen - old sheets, thrifted tablecloths, whatever. 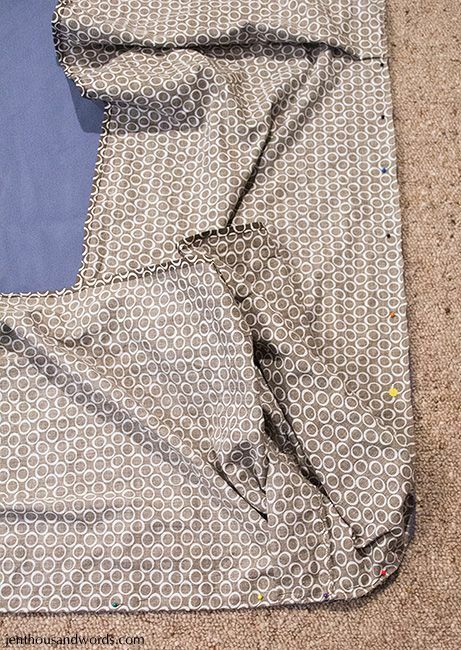 Once you have that measurement add seam allowance at the top (half a centimetre) for it to be attached to the bed skirt top, and add seam allowance at the bottom for a rolled hem (one and a half centimetres). This is measurement A. Then add 40cm for the first box pleat, and 10cm for (some of) the corner pleat (I will explain more later) and another 15cm or so for the little bit that goes around the corner at the top of the bed (and seam allowance). So, the length of your bed + 65cm = measurement B. 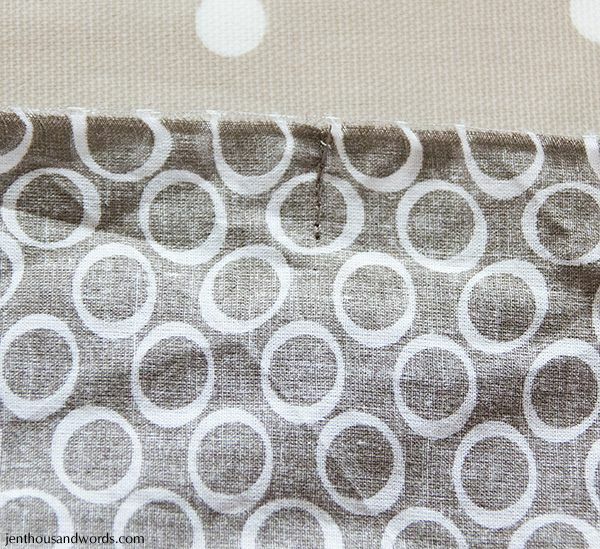 Then add 40cm for the middle pleat and 60cm (which is 30cm for each corner pleat). 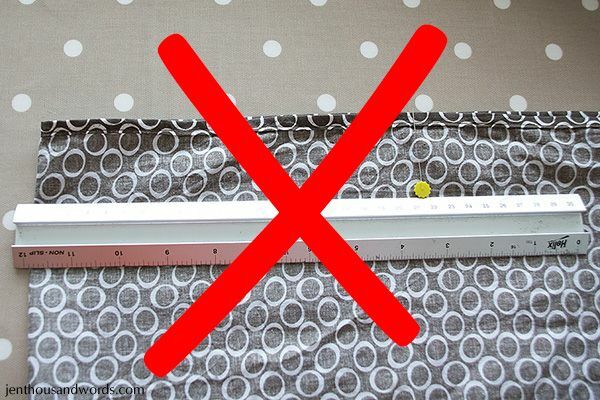 So, the width of your bed + 100cm = measurement C.
The reason you only add 10cm to each side piece for the corner pleat, and 30cm on either end of the end piece for the corner pleats is because you will need to join your fabric somewhere. 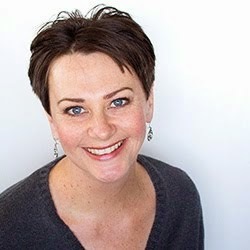 You will initially cut 3 strips of fabric from one length of fabric - one for each side and one for the end - and will have to join them rather than using a piece of fabric that is long enough to go all the way around your bed (creating a lot of waste and expense). By placing the joining seams where you do, the seams will be hidden in the folds of the box pleats. 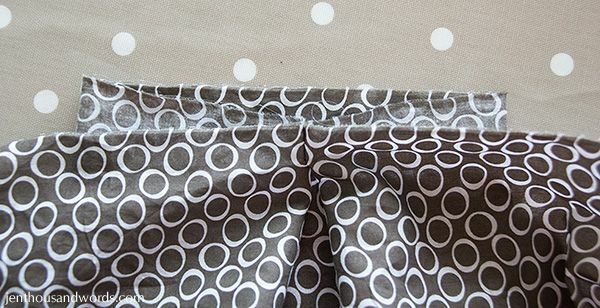 If you had allowed 20cm for each corner on each piece of fabric then the joining seams would be smack bang in the middle of the corner box pleats and would be visible. Okay so now you have the measurements you need to cut your bed skirt fabric. 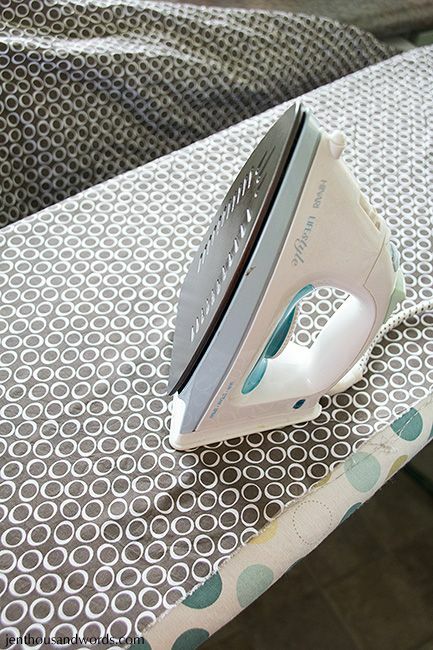 Before you cut your fabric you want to wash (or at least wet in hot water), dry and iron it. 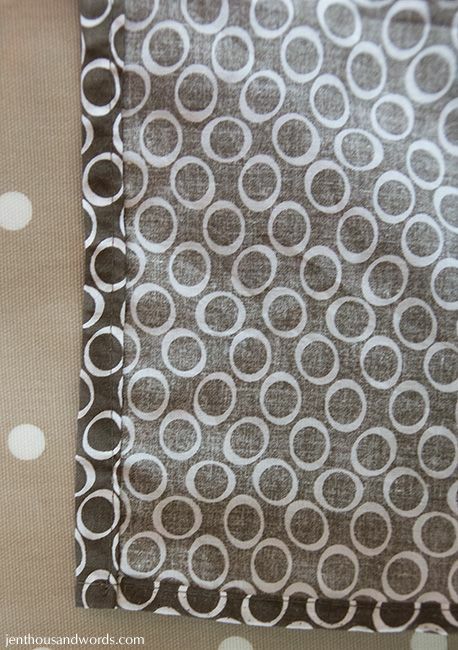 You want to cut three strips, which you should be able to get out of one 2.5m length of fabric (mine was 140cm wide). If you have a definite pattern, such as horizontal stripes, then when cutting out the fabric make sure that the stripes will line up. For example, if you have pink and white broadly striped fabric and your first strip of fabric is cut with a pink stripe along the long end, make sure the second and third are cut with a pink stripe along the long end. 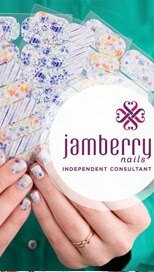 You will be joining them together and want it to look continuous. Strip 1 will be Measurement A wide x Measurement B long. Strip 2 will be identical - in other words, cut two - one for each side of the bed. Strip 3 will be Measurement A wide x Measurement C long. Then stitch them together and serge /overlock / zig-zag the edges. Once you have your looooong strip you want to hem the bottom and each side. The way I do my hem is I draw a line on a piece of card, then fold the fabric over to that line and iron it. Then I roll the raw edge under and pin it. Then I sew along the hem and it's done. The strip is so long that you will feel like you are sewing for years. Once you have done the length, go ahead and hem each short end too. You will now have a very long strip that is hemmed on three sides. Time to begin making box pleats. 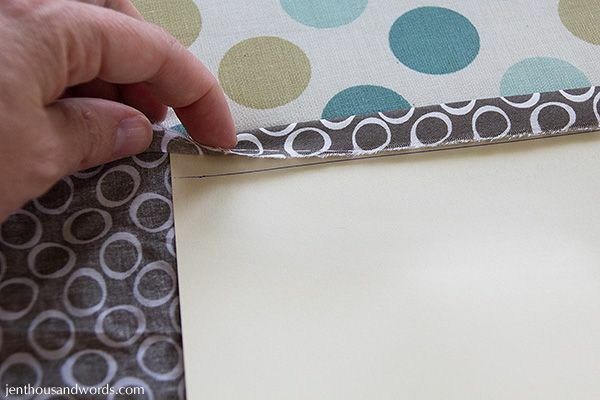 Fold the strip in half with right sides together so that it is half the length. Then measure 20cm in from the fold and pin. Stitch about an inch where the pin is. 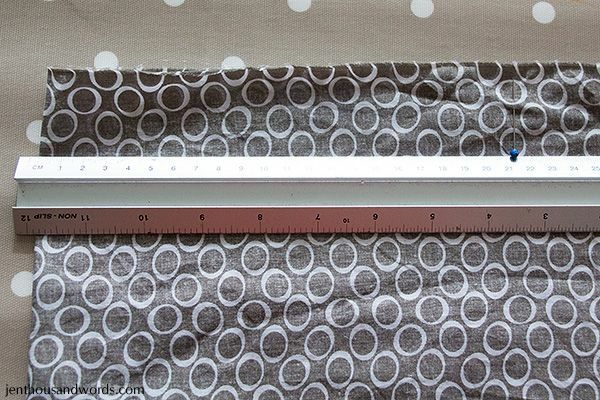 Use a ruler or tape measure to make sure that the pleat is even and there is the same amount of fabric at the back on either side (10cm each). Well done, you have completed your first box pleat! Now only four more to go. So let's first create the pleats for the left hand side of the bed. Measure [measurement D] to the left of the centre of the pleat you have already sewn and put a pin there. Now measure 40cm to the left of that pin and put another pin there. 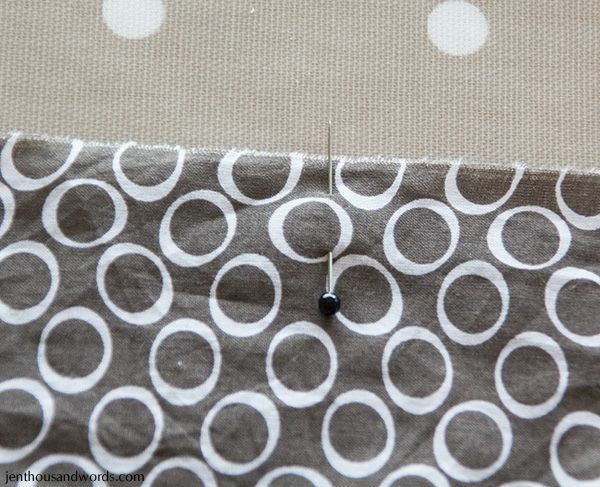 Fold the fabric over and line the two pins up - put one pin in that place. That is the spot that you will stitch, as above. 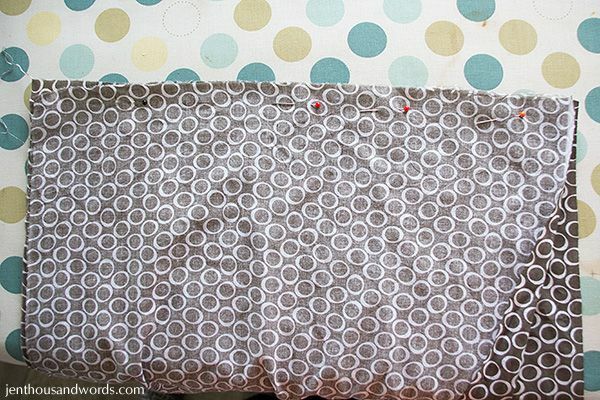 Complete the pleat as above by pulling the fabric apart and stitching along the top. To create the two remaining box pleats you will repeat what you have done before but instead of measuring the width of the bed you will measure the length and halve that. This is measurement E. So, for example, if measurement E is 75cm then you will measure 75cm to the left of the left hand pleat that you have already made, put your pin there, measure 40cm to the left of that, put another pin there, fold the fabric over to match up the pins, stitch there to create your pleat. Repeat on the right hand side. You should now have your 5 pleats done. Congratulations, you have completed your skirt! Now all you have to do is attach it to the top piece. You will need to measure the length and width of your bed, then add seam allowance on three sides and hem allowance on one side. Cut a piece of fabric that size. 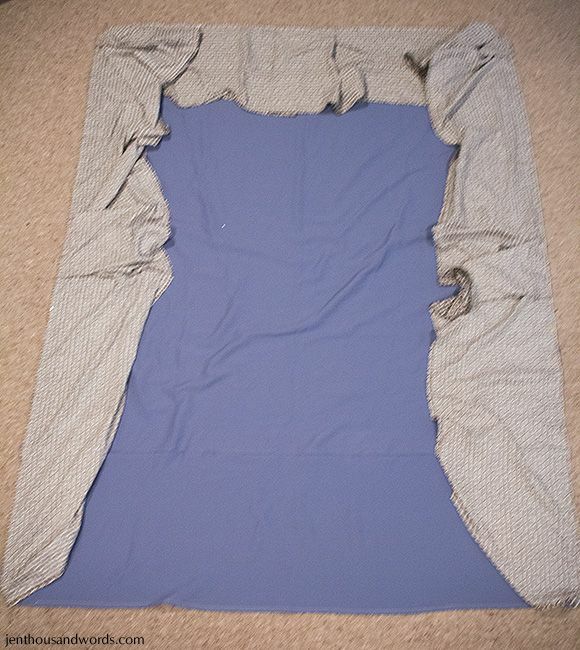 If you need to sew together a couple of pieces to get a large enough piece that's fine - nobody is going to see it as it will be hidden by your mattress. 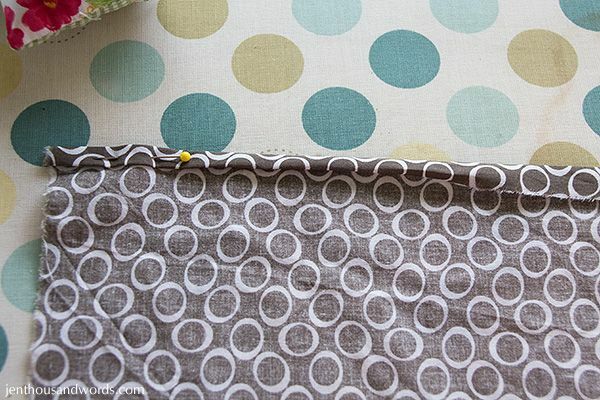 Check your bed to see how rounded the corners are and round your fabric corners too. I just eyeballed it but feel free to use a glass or something else that is round to draw a curve before cutting. Hem along one of the shorter edges of the fabric - this will go at the head of the bed. 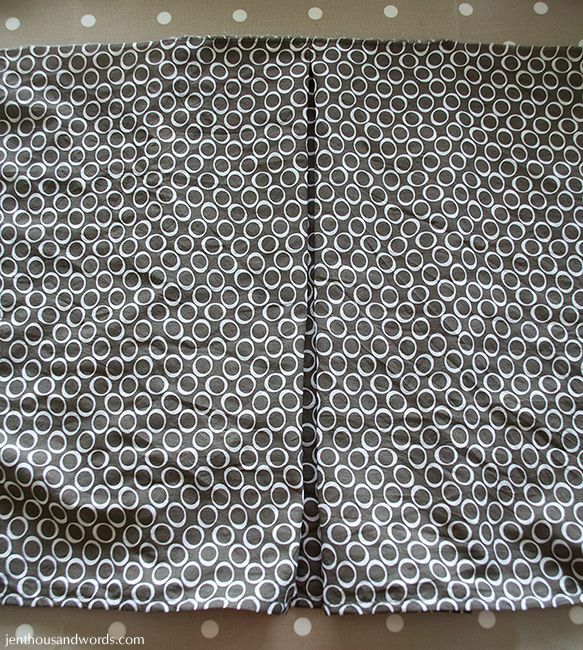 Then get the pleated skirt and start pinning it to the fabric, right sides together. 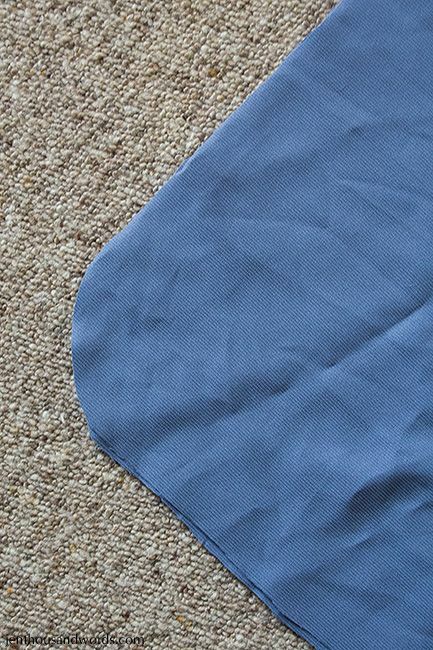 To begin you will fold the top piece in half lengthways to find the centre of the foot of the bed. Put a pin at that spot and open the top piece out again. Line up the centre of the centre box pleat of the bed skirt with the centre of the top piece (where the pin is) and begin pinning it on, right sides together. Work your way around. It will look like this when you are done - this photo is taken as if I am standing at the head of the bed - this is the hemmed end. Now sew all along the pinned edges, then go back and serge / overlock / zig-zag the raw edges. VOILA! You are DONE! 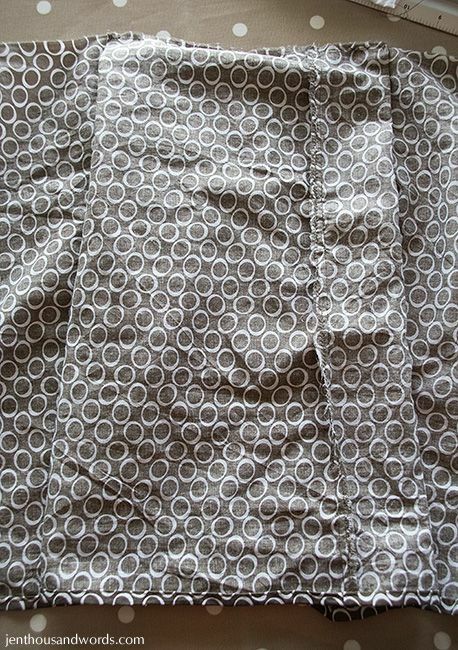 You should now have a beautiful pleated bed skirt to put on your bed. Check back tomorrow to see mine when I reveal the changes I've made in our bedroom.